These days, even before you get the chance of completing a word, there will be hundreds of mobile apps that roll out regarding that subject. Few years ago, did you, even in your vaguest of thoughts, ever imagine that few years down the line you would have something called a â? ?smart phoneâ? in your hand, and that very smart phone would literally be able to help you out with something as far-fetched as landscape design? Yes, thatâ? ?s how amazingly insane smart phones and mobile apps can get. Thereâ? ?s an app for almost anything and everything your mind can conceive. Likewise, here are four great apps for the landscape architect in you. Do you happen to be clueless about doing up or decorating your landscape at home or at your workplace? If yes, this is the ultimate app you should be looking for! Landscaping Design Ideas is an incredible app that offers you galleries of striking landscaping ideas, designs and decorations. This simple app literally covers all the vital aspects of your garden or exterior landscape, such as the front yard, back yard, pathway, swimming pool, garden decorations such as waterfalls, rock garden, flowers, lawns, creeper plants and much more! Moreover, this easy-to-use app also allows you to save and share images that you find interesting. As the name suggests, Landscaperâ? ?s Companion is a brilliant app that without a doubt proves to be the perfect companion for all landscapers and gardeners. The app provides you with an extremely handy reference catalog or resourceful database of over 20,000 plants, along with general information, common names and scientific names, plant culture, as well as images. Besides, it lets you search for plants that will grow well in your zone. 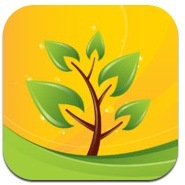 The app also lets you run a search on the basis of plant size, water and sunlight requirements, plant color, and so on. You can further go on to scribble down your own personal notes, save the plant lists, as well as your personal plant photos! Thanks to this wonderful app, you now have access to a digital version of your favorite gardening magazine, Garden Design. Garden Design Mag gives you a rather creative and inspirational source for garden and home ideas. Via this app, you can quickly scan through news articles on gardening, horticulture, landscape and home design. It also gives you amazing tips and advice on aspects such as how to make your garden and outdoor space perfect for entertainment and recreation, cooking with home-grown ingredients, basic tips for amateur gardeners and so on. When it comes to planting a garden, OG Planting Planner is one cracking app that will come in handier than anything else. This amazing app literally helps you plan and plant your garden in the best possible way. Once you are done selecting the plants that you wish to grow, the app further helps you determine as to when would be the best time to start planting your seeds indoors and the outdoors â?? all this, based on the frost dates for your GPS location. OG Planting Planner also gives you information on weather, sunrise and sunset times, as well as moon phases for all those into biodynamic gardening. All in all, OG Planting Planner is a remarkable app that covers a wide range of vegetables, flowers and herbs, and gives you the best possible access to resources and information on garden management. Anything and everything that you ever wanted to know about gardening and landscape design â?? these were four incredible apps that know it all, and wonâ? ?t let you down. This guest post is by Robert Blunt, a landscape design architect. He uses guest posting to share his knowledge and opinions about technology and apps. His day job is at Space Landscape Designs, a company that specializes in garden design projects.